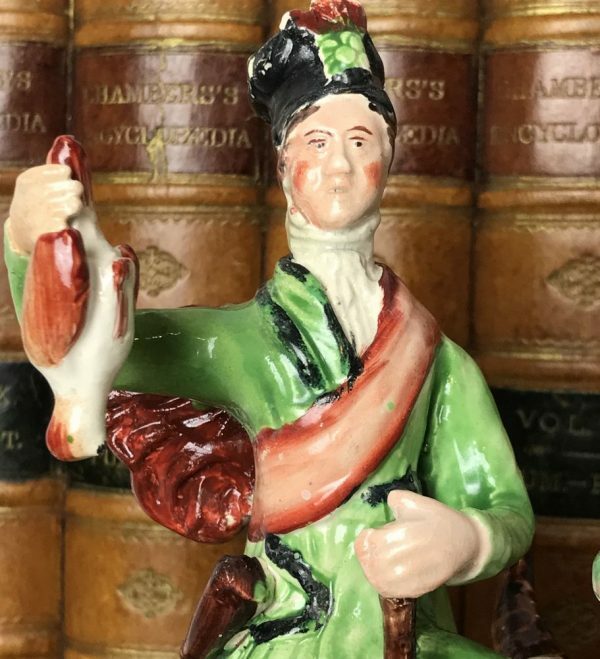 Staffordshire Pottery Figure of a Scottish Hunter. 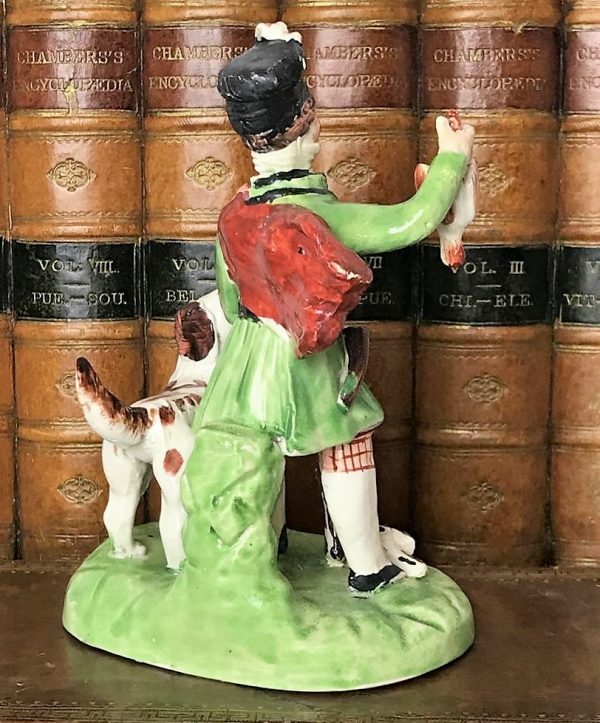 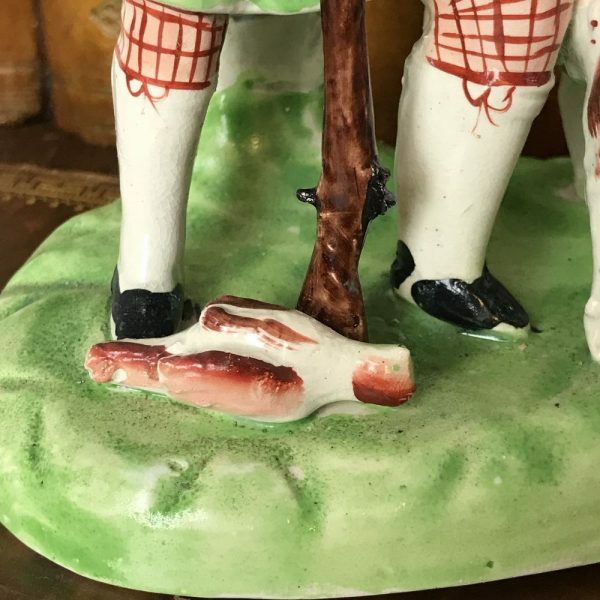 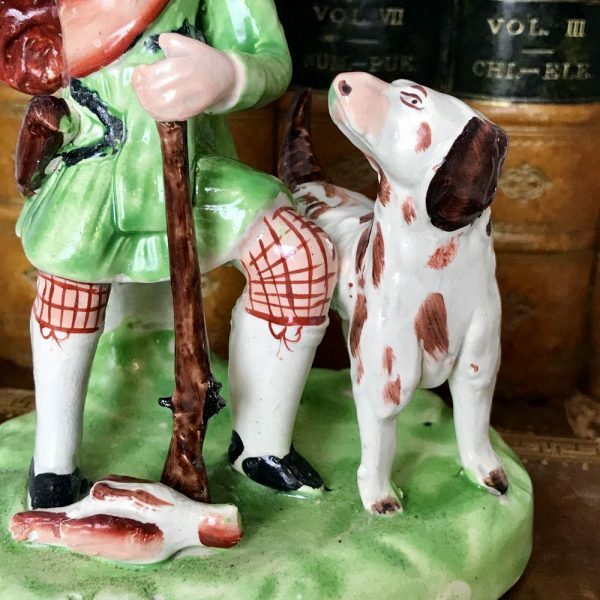 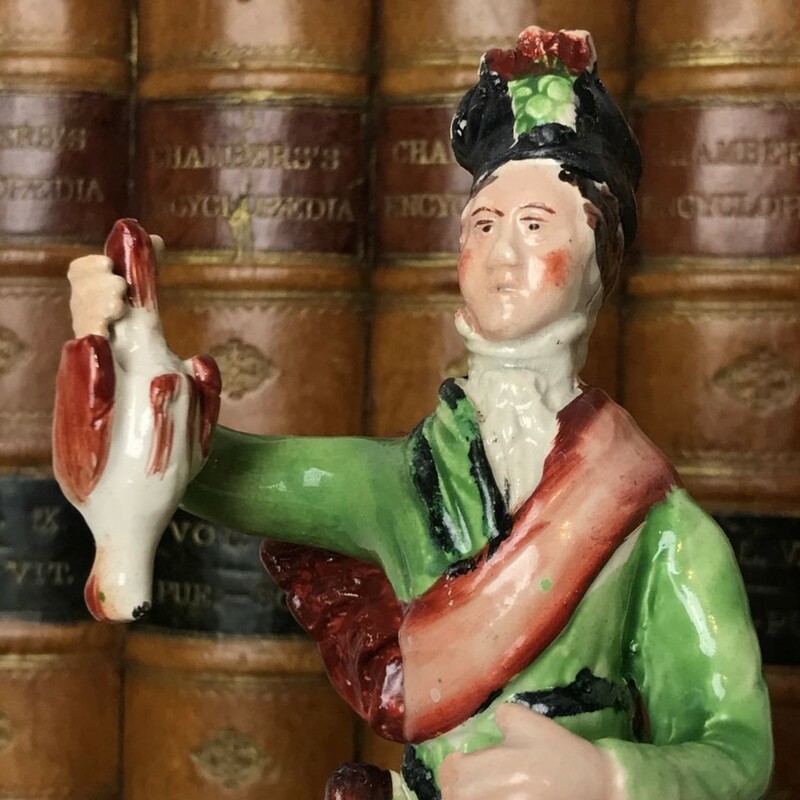 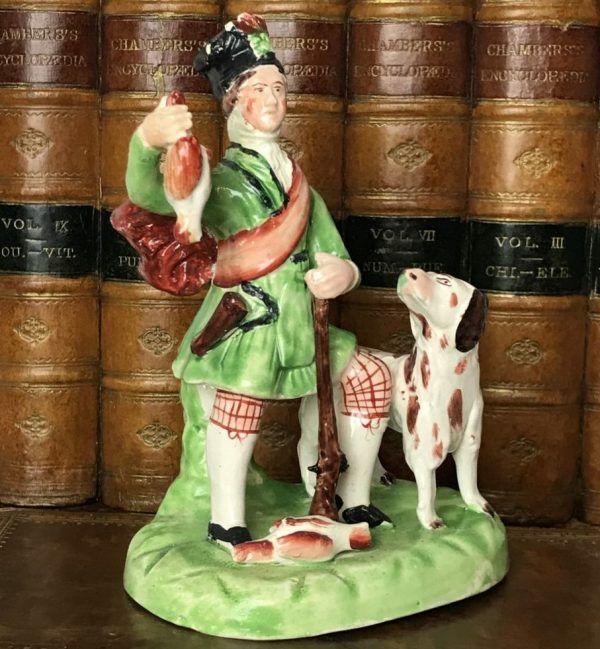 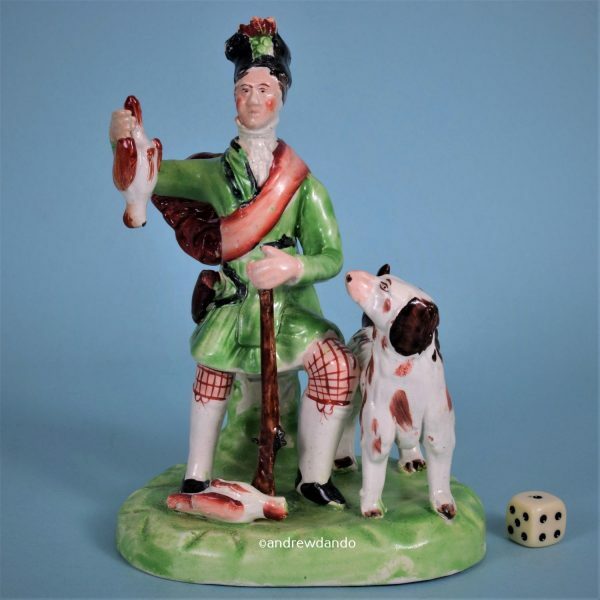 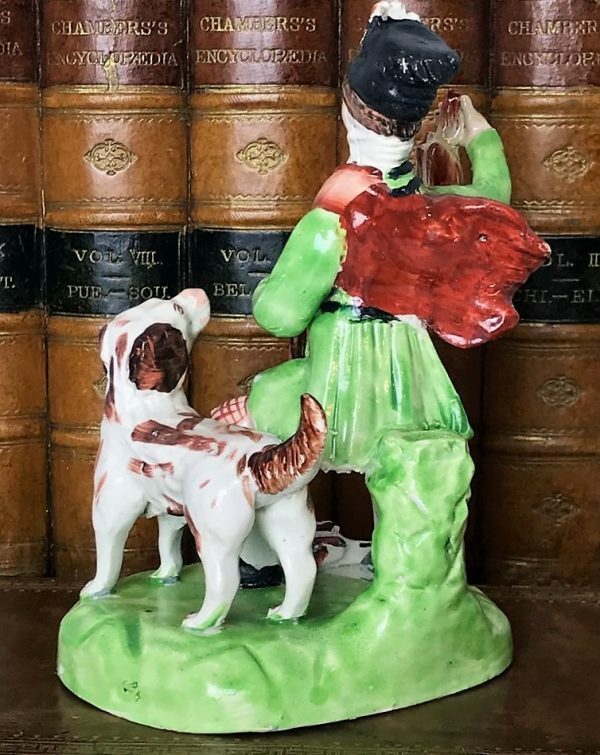 A very scarce early 19th century Staffordshire pottery figure of a Scottish hunter, holding a bird & a gun, his dog standing beside him. 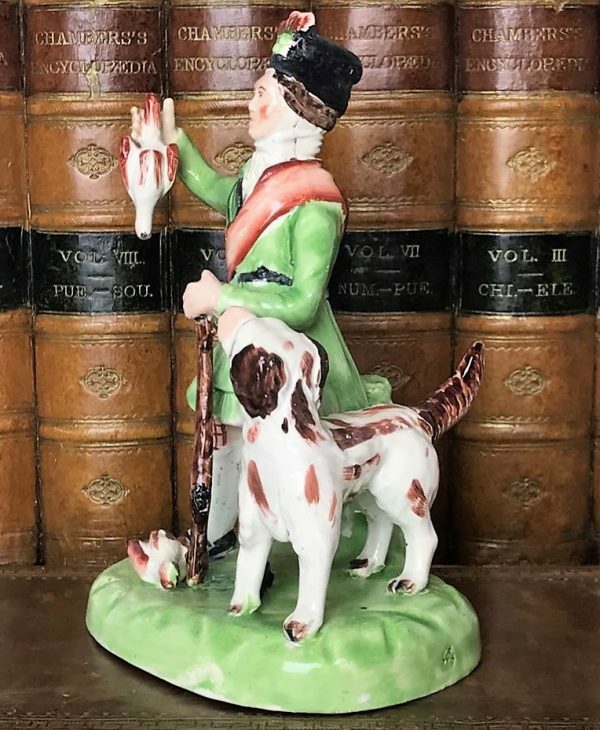 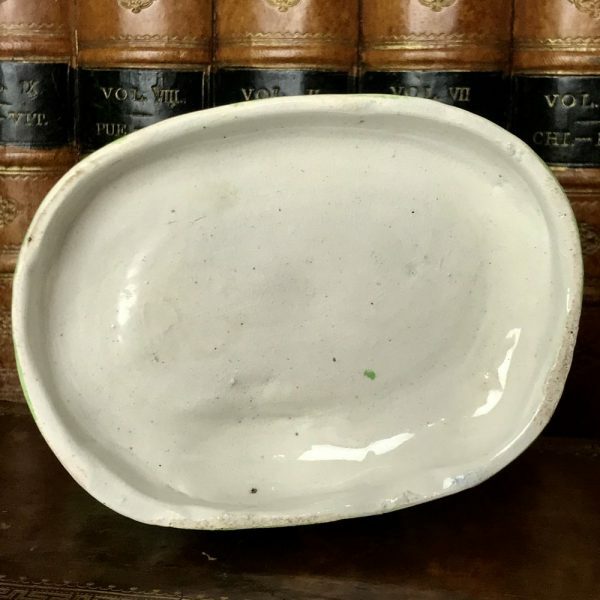 Pearlware decorated with overglaze enamel colours. Condition: High quality restoration to part of right arm, hand and bird, part of gun and dog’s tail.